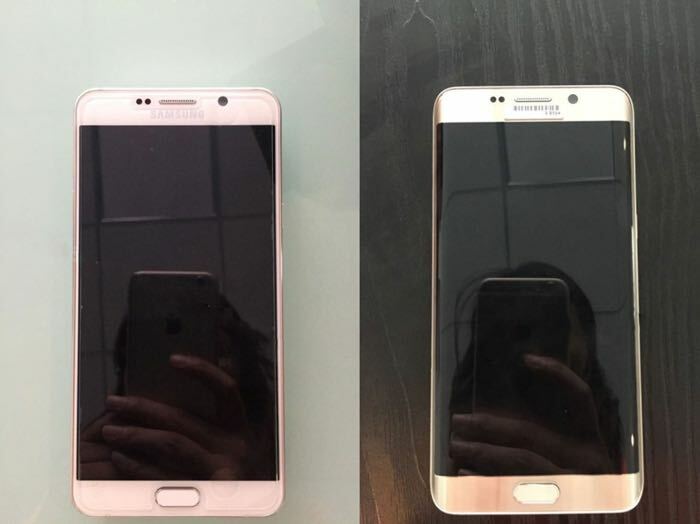 We have heard a lot of the specifications on the new Samsung Galaxy Note 5 and the Samsung Galaxy S6 Edge Plus and now we have some photos of the handsets. Samsung are expected to launch their new Galaxy Note 5 and Galaxy S6 Edge Plus smartphones at a press event on the 13th of August. The Samsung Galaxy Note 5 is rumored to come with a 5.67 inch Quad HD display and processing will come in the form of a new Samsung Exynos 7422 processor. The handset is also rumored to come with 4GB of RAM, a range of storage options from 32GB to 128GB and a microSD card slot. The device will also come with a 5 megapixel front camera and a 16 megapixel rear camera, plus Android Lollipop. 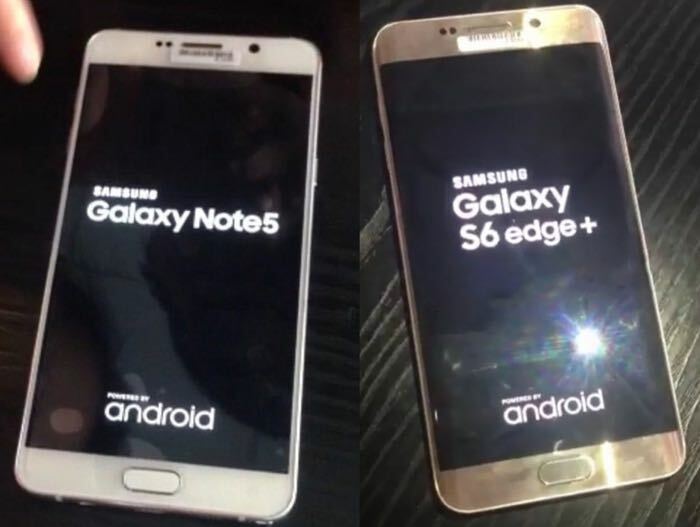 The Samsung Galaxy S6 Edge Plus is expected to feature a 5.7 inch QHD display with a resolution of 2560 x 1440 pixels, the device will come with an octa core Samsung Exynos 7420 processor and 3GB of RAM. Other specifications on the S6 Edge Plus include a choice of 32GB, 64GB and 128GB of storage, plus a 5 megapixel front camera and a 16 megapixel rear camera and Android Lollipop. Both of these new Samsung smartphones are expected to launch some time before the end of August, we will have more details on when they will be available some time next month.